Many countries have problems with burglaries but the UK has several areas that are true hotspots for burglaries. This infographic shows what areas of the UK have the most burglaries and the statistics about these burglaries. 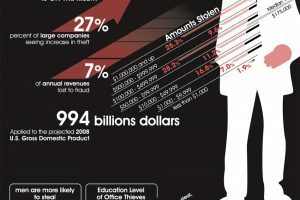 The design of this infographic is easy to read and follow. The blue color makes the information easy to read but I would have enjoyed more color. The map at the top of the infographic should be labeled better for those who are not familiar with the UK. I liked that the ranking started with number one and did not count down. The layout was good and the information was broken down into sections that made it nice to read. Overall a nice infographic but I would have added a little more color to make it more exciting to look at. The information is great for someone who may be thinking about moving to the UK. This information can help them decide on a place that has less burglaries. The statistics are interesting and help readers understand just how often and when burglaries tend to take place. The information on what items are stolen most can be helpful because it give readers an idea of what they need to protect in their homes. I would say that overall the information was good but I would have enjoyed a little bit more information about the burglaries and maybe some ways to protect our homes against burglaries. Infographic provided by Just Landlords.